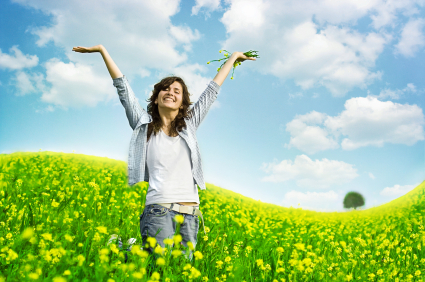 Emotional Freedom Technique is an energy therapy and it has been proved to be highly effective when used to override old negative patterns of which low self-esteem is one. EFT can be used to build self esteem so you can feel as good as everyone else. Low self-esteem is learned behaviour as no-one is born with low regard. Every single child is born confident, self-loving and self-appreciating but along the way life’s hard knocks can often change a person’s perception of their own intrinsic worth. Yes, your true self-worth is still within only waiting to be uncovered and EFT is an effective way to unwrap the true you. EFT can help to remove the negative programming that has overlain the truth about you for possibly more years than you can remember. EFT works by removing the emotional charge that is attached to negative memories and beliefs and once these are out of the way you will be able to see improvements in the way you feel on a daily basis. Old negative programming becomes trapped in the physiology but EFT has the ability to dislodge it and allow you to move on. Whatever YOU say about YOU is registered by your deeper mind and deeper mind is responsible for the way you feel. It’s impossible to have negative beliefs about the self and to feel confident. The way you feel is out pictured in your whole body system and is seen by others as the way you look, the way you stand and the way you speak. Constant negative self-talk has to be overcome before self esteem can be improved. Criticism destroys confidence and constructive talk builds it back up again. Every single person with low self esteem has been criticised by others, usually family members, and has believed what was said about them. Then the pattern of criticism becomes so familiar and normal that the victim carries on doing the same thing to themselves for the rest of their lives. Unless of course they decide to put an end to it and learn a better way. EFT is a great way of recovering the self esteem you were born with. It’s still inside of you, even if it’s buried deeply and you can contact it with the right tools. There are always two choices in life, would you rather be right or happy? If you choose to be right you can carry on accepting the old verdict about you and if you choose to be happy you can change. 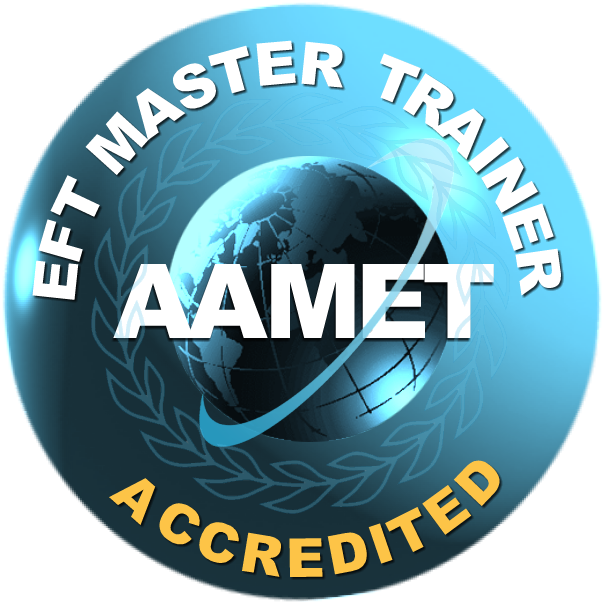 EFT is being used by both laymen and professional health personal all over the globe. From Saudi Arabia to Outer Mongolia people are tapping their way to freedom. More and more people are learning it and using it and reporting huge successful breakthroughs. It’s simplicity is amazing, even small children can learn and use EFT. It’s so easy and so effective that those who don’t know it or use it are behind the times. The one day beginners workshop gives all attendees a good start and everything needed to use EFT effectively in the majority of cases on the issues of those nearest and dearest to them. Difficult or deeper issues are still best dealt with professionally but simple things like headaches, exam stress, fall outs with friends, tiredness and crankiness of all kinds can be dealt with in the moment with a very basic knowledge of EFT. EFT can even be used on crying and sick babies, baby who don’t sleep and pets of all sizes. EFT is 100% safe to use; as safe as stroking a loved one’s head to make them feel better. Emotional Freedom Technique is becoming more and more main stream and has been featured on TV many times. It is used in sports psychology and is taught to top sportspeople everywhere who use it to relieve performance stress and to boost sports performance. Whatever the problem is EFT Emotional Freedom Technique can reduce the symptoms quickly and easily, allowing you to feel differently about your problem. When you feel differently the problem begins to dissipate and you can become free from negative feelings like guilt, blame, anger, depression, sadness and grief to name but a few. Why not learn EFT and use it on family friends and self. To check out the next workshops see below. I was a sceptic until EFT stopped my Panic Attack within minutes. It’s amazing. I can’t thank you enough. thank you for the session I felt so up afterwards and my whole self is feeling better. I’m tapping through the scripts you sent me and it’s making such a difference. I can’t understand why nobody’s heard of this. “What a difference EFT is making and I did it on my husband and my dog and both worked. I might become a therapist.” Haha. Hypnosis is a state of mind. During hypnosis the physical eyes are either closed or defocussed and focus is turned inward. Hypnosis is a relaxed state of inner attention. It is a completely natural state that everyone dips into many times a day and one that every human being is already familiar with whether they have been hypnotised or not. Throughout life emotions get trapped within our bodies. Whenever you have a traumatic incident in childhood, and beyond, the emotions you were feeling at the time often get trapped. The emotions can get trapped in organs, in limbs, in bones, ligaments, or any other parts of the body. Once trapped they can create illness or other physical problems in later life. Emotional Freedom Technique based on the ancient art of Acupuncture has been described as Acupuncture without the needles. 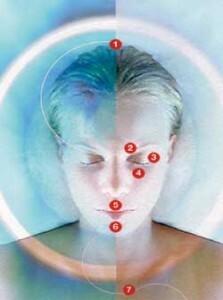 EFT works on the emotions and removes the trauma that has been held within the body. The memory stays but the emotional charge is removed. EFT can also be used to implant new behaviours swiftly and expertly. Metaphysics concerns itself with the mind and Universal Laws which are exact and unchanging. If you work with the Law life tends to be good and you can set and achieve goals. If you work against the Law your life will be problematic. Anything can be achieved when you know how to do it and Metaphysics is the key to success. Stopping smoking will rank as one of the greatest achievements of your life, alongside getting married, passing your driving test and having your first child it will be a day to remember for the rest of your life, the day you became free. The fear that is associated with smoking that increases with every year that passes by can be removed completely when you visit Stop Smoking Chichester. Our past has clothed us in magnetic layers, invisible garments that have accumulated from lifetimes of experiences and choices. They mold and shape who we are today. Some of these garments are beautiful and some are ugly. Often they are so subtle and comfortable that we are not even aware that we wear them, scarcely recognizing their soft whispers and their ever- present effects on our personality, talents, relationships, habits and deeply engrained feelings. Learning to take responsibility for my own anger and stop blaming others meant I could do something about it. I’ve been amazed at the difference it’s made in such a short time.